Plants not cespitose, strongly rhizomatous. Culms 45-125 cm tall, 1.8-3 mm thick, solitary or a few together. Leaves exceeded by the spikes, often basally concentrated; sheaths glabrous or hairy, hairs 0.5-1 mm; auricles to 1 mm; ligules 0.2-1.3 mm, truncate, erose; blades 10-35 cm long, 3.5-10 mm wide, flat to involute, usually stiffly ascending, adaxial surfaces usually scabrous, often also sparsely hairy, hairs to 0.8 mm, most abundant proximally, veins 11-27, closely spaced, subequal, prominently ribbed. 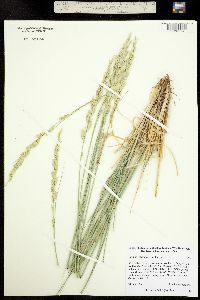 Spikes 5-20 cm long, 5-15 mm wide, with 2 spikelets at midspike, sometimes 1 or 3 at other nodes; internodes 5-11.5 mm, usually mostly smooth and glabrous, sometimes strigillose distally, edges ciliate, cilia to 0.4 mm. 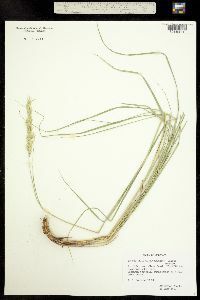 Spikelets 10-22 mm, with 3-7 florets. Glumes 5-16 mm long, 0.5-1.2 mm wide, bases not overlapping, glabrous and smooth proximally, scabrous distally, tapering from below midlength to the subulate apices, stiff, keeled, the central portion thicker than the margins, 1(3)-veined, veins inconspicuous at midlength; calluses usually glabrous, occasionally with a few hairs about 0.1 mm long; lemmas 5-12 mm, usually glabrous, occasionally sparsely hairy, hairs to 0.3 mm, apices acute, usually awned, awns to 3 mm; anthers 3-6 mm, dehiscent. 2n = 28. 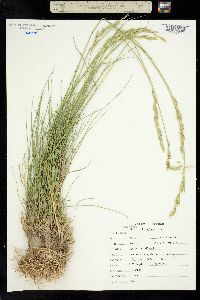 Leymus triticoides grows in dry to moist, often saline meadows. Its range extends from southern British Columbia to Montana, south to California, Arizona, and New Mexico, but its populations are widely scattered. It is not known from Mexico. There is considerable variation within the species, but no pattern of variation suggesting the existence of infraspecific taxa is known. 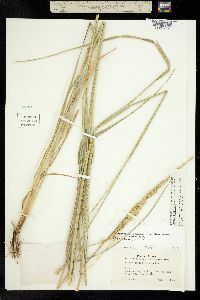 It is very similar to L. multicaulis, strains of which were initially released as L. triticoides by the U.S. Department of Agriculture. 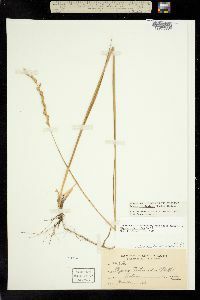 The most consistent differences between them appear to be in the venation of the leaf blades and the vestiture of the calluses. 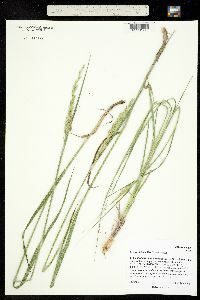 Leymus triticoides is also very similar to L. simplex, differing from it in the number of spikelets at the midspike nodes. 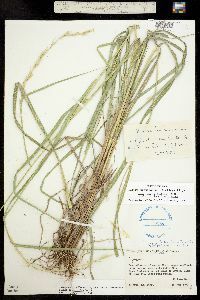 Leymus triticoides hybridizes with other species of Leymus; hybrids with L. mollis-are called L. -vancouverensis, those with L. condensatus-are called L. -multiflorus. 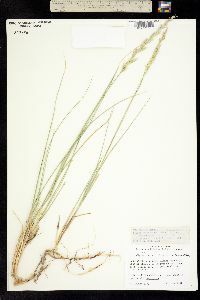 Hybrids with L. cinereus-are known, but have not been formally named. 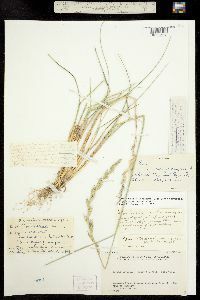 Plants identified as Elymus arenicolus Scribn. & J.G. 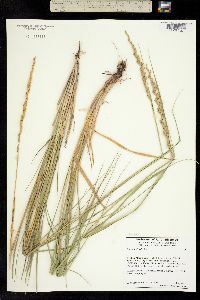 Sm.-are here included in L. flavescens, but may represent hybrids between L. triticoides and L. flavescens.